You can follow the following steps to easily collect a web page to TripHugger. 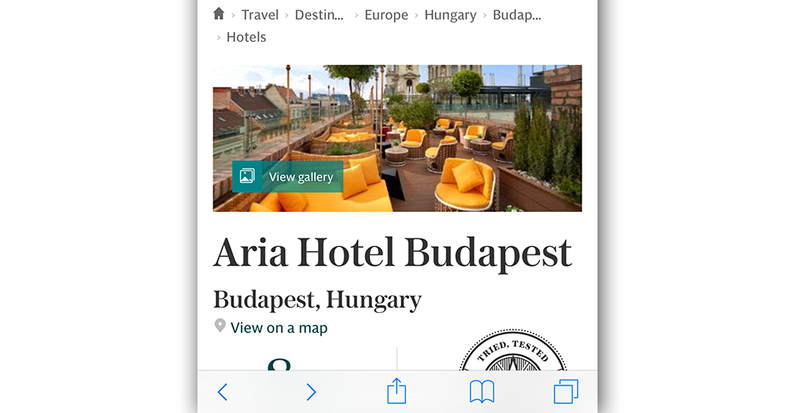 Saving webpages to your Collection makes it easy to collect vacation ideas! Open the travel information page you want to collect in Safari. 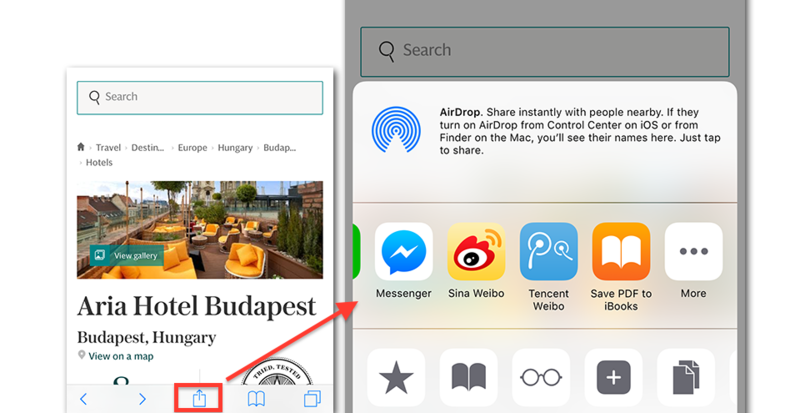 Click on Share button, and the share sheet will appear. Scroll to the right and then tap on More. You will find TripHugger in the Activities list. 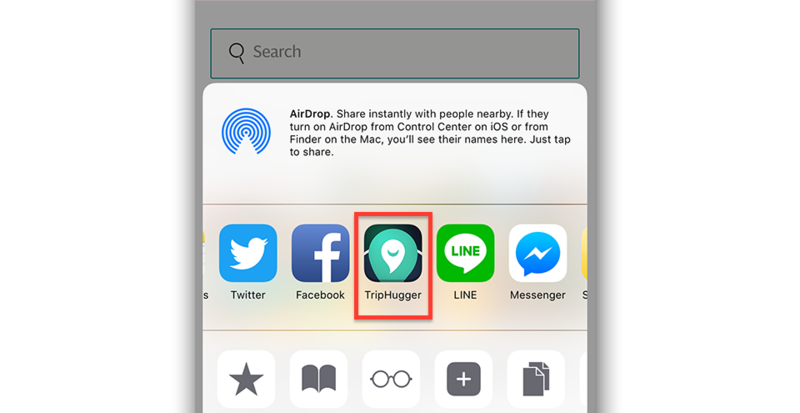 Enable TripHugger so that TripHugger will appear on your share sheet. 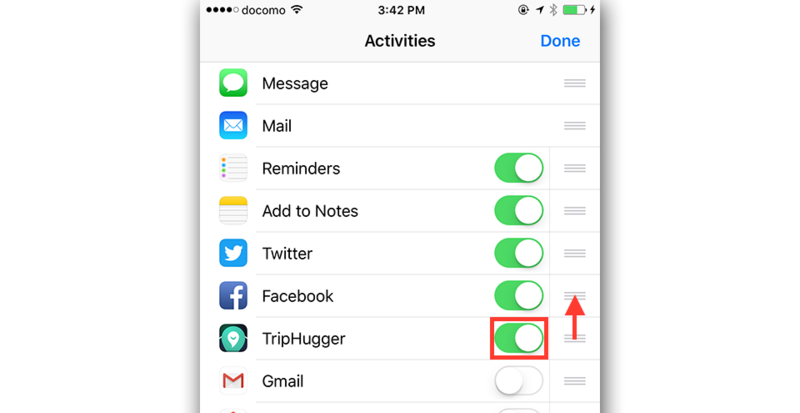 To have TripHugger displayed in the beginning of the share sheet, move TripHugger to the top of the Activities list. Press Done to complete the change. Then select “TripHugger” to collect the page. 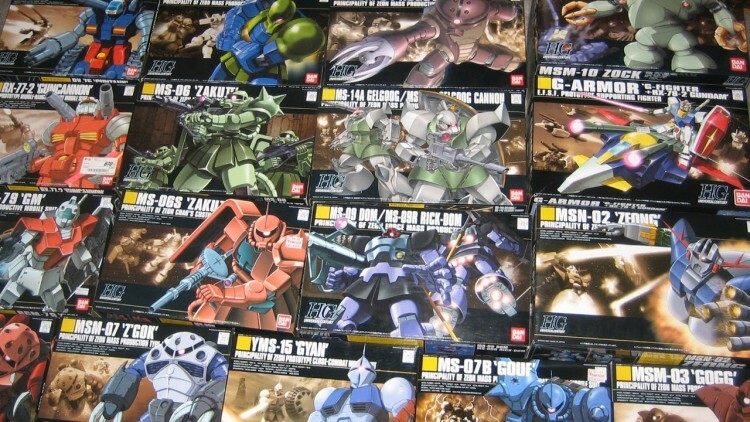 You can customize the title and description to be saved in your Collection, and then press Collect. After you press Collect button, the link will be saved with the title and description which you created. 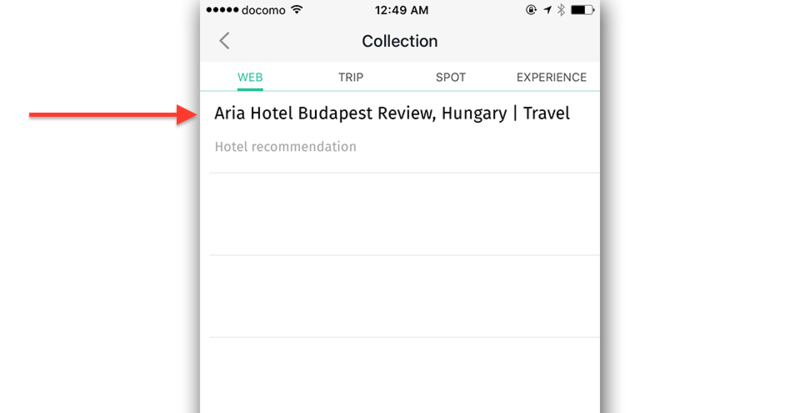 Collections make collecting travel ideas and planning trips much easier. 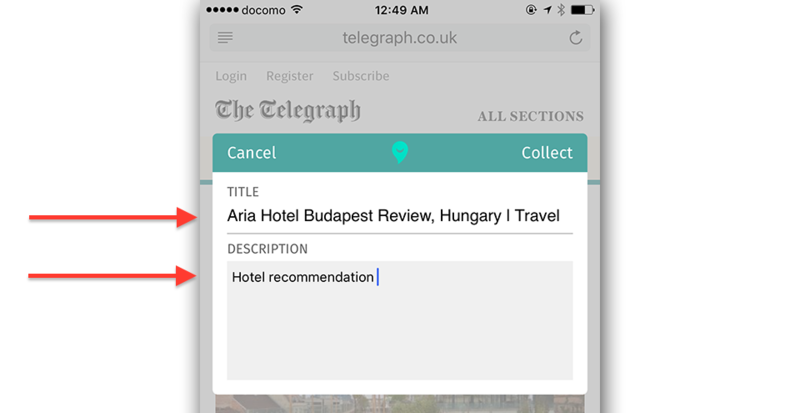 We hope that you will enjoy collecting travel ideas anytime and anywhere with the new version!